Thai Ground Turkey & Veggie Lettuce Wraps. 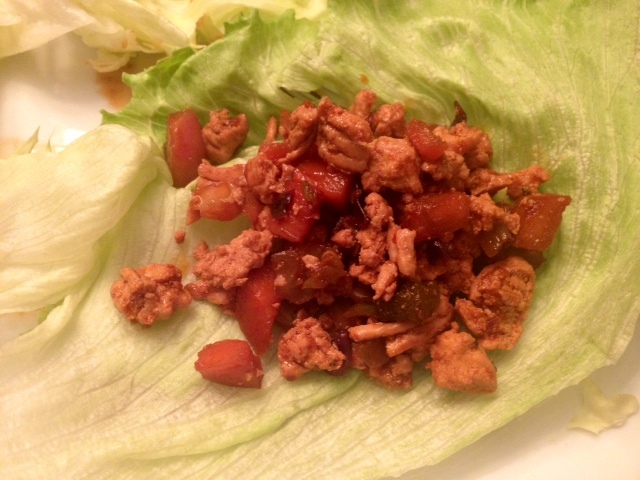 These lettuce wraps have been a new favorite in our household lately. They’re low-carb, low-fat, gluten-free and dairy-free, but still so yummy and satisfying. They’re also fast and easy to make and also fun to eat! You can’t go wrong. Heat 2 tbsp of olive oil on medium-high heat in a large pan or pot (big/deep enough to hold the turkey & veggies) and once heated add in the ground turkey. Once the turkey is lightly browned, add in the chopped veggies. Combine the tamari, sriracha and curry paste in a bowl and use a fork or whisk to mix all of the ingredients together. 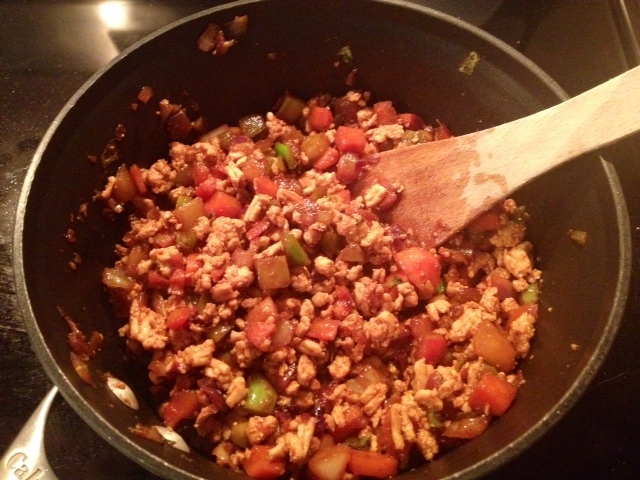 Pour this over the ground turkey and veggies. Cook for an additional 10-15 minutes, or until the turkey is cooked through and the veggies are slightly softened. To create the lettuce wraps, begin by cutting the bottom off of the head of lettuce. Cut the head of lettuce in half and then gently remove each piece of lettuce layer by layer. 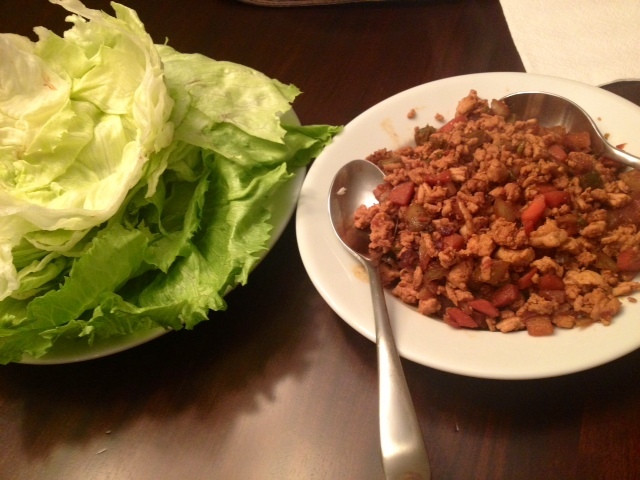 To serve, it’s easiest to have a serving bowl with the ground turkey and veggies alongside a plate of the lettuce wraps. 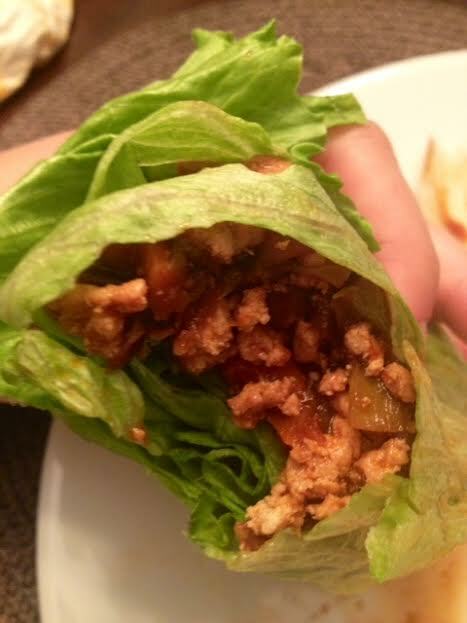 To eat, simply place a spoonful of the turkey mixture onto the center of lettuce wrap and wrap it up.